Lyndon Baines Johnson Day is a legal state holiday in Texas. It falls every year on August 27, to mark the birthday of U.S. President Lyndon Baines Johnson. 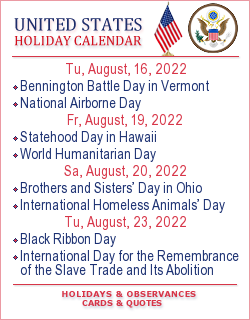 After Johnson died in 1973, the Texas State Legislature created a legal state holiday to be observed every year on August 27 to honor the 36th president of the United States, one of their state’s native sons. The holiday is optional for state employees and state offices do not close.